Properties in South Bay average 4.2 out of 5 stars. Fishermans Friend - perfect location! Property 11: Fishermans Friend - perfect location! Heart of South Bay - close to the ocean and perfect for the family! 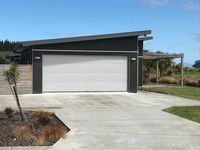 Property 14: Heart of South Bay - close to the ocean and perfect for the family! Bach at the Beach - perfect location by the sea! Property 15: Bach at the Beach - perfect location by the sea! Three bedroom cottage with stunning views of the sea and mountains. Property 16: Three bedroom cottage with stunning views of the sea and mountains. 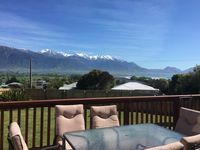 Property 21: KAIKOURA AMAZING VIEWS !!! Not just a stay - we are a stay and experience you will remember! Property 30: Not just a stay - we are a stay and experience you will remember! Mountain view on the Haven - perfect location! Property 37: Mountain view on the Haven - perfect location! Modern, spacious, well appointed family home with lots of parking. Property 40: Modern, spacious, well appointed family home with lots of parking. Perfect with pets, amazing views and nicely renovated. Homely feel about the place. Only negative is the mattress in main room has a roll together problem. All in all a great place to stay. Would definitely stay again! The house worked well for a family getaway. Unfortunately, no WiFi.